There is nothing better than homemade bread, period – hot, fresh bread whether it be in loaf form or flat will make your family want to eat just about anything you put on it. 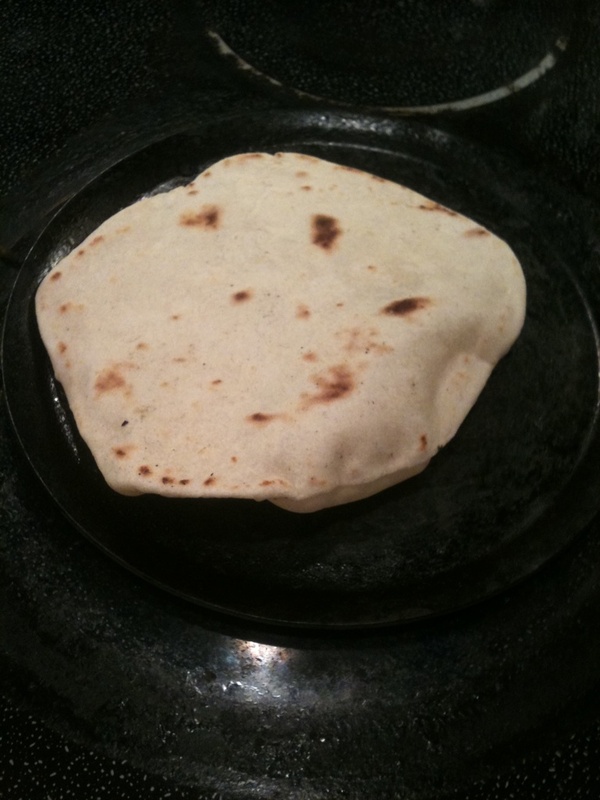 I’d been meaning to try my hand at tortillas for a long time but just never had. Then, one day, some years back, while camping and cooking my Mexican Chicken Rice in the Dutch oven, I thought “this sure would be nice on hot tortillas.” I didn’t have any that trip but the next time I didn’t come so ill-prepared. I tried and tested recipe after recipe. Some turned out good and some turned out badly enough they were deposited in the garbage and never spoken of again. But I finally figured it out and now my favorite camping activity is sitting around the camp fire making tortillas. I don’t know why they turn out better over the fire than on my stove but that’s just the way it is. Combine all dry ingredients. Mix in water and kneed for 6 about minutes. 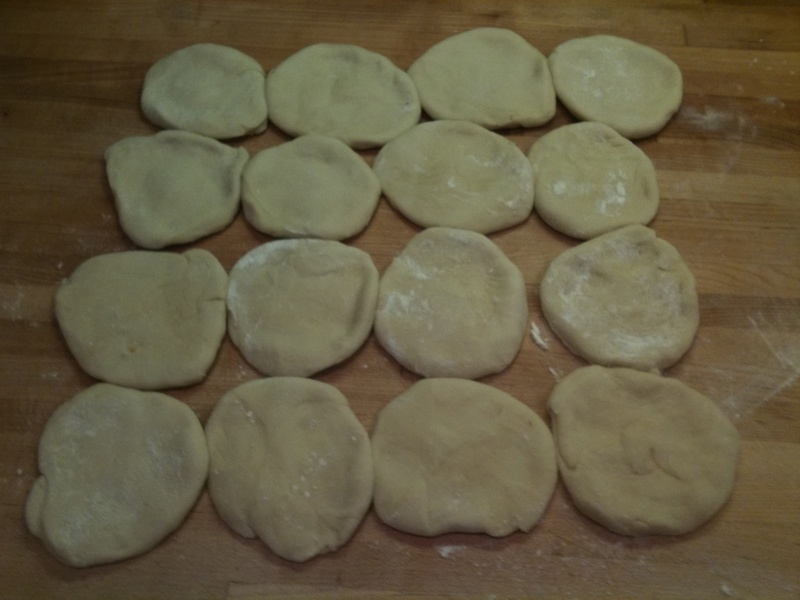 On a floured board, cut dough into 16 equal parts, roll dough into balls and flatten. Roll each disk out on a floured board to desired thickness. Preheat griddle to medium heat (no oil). 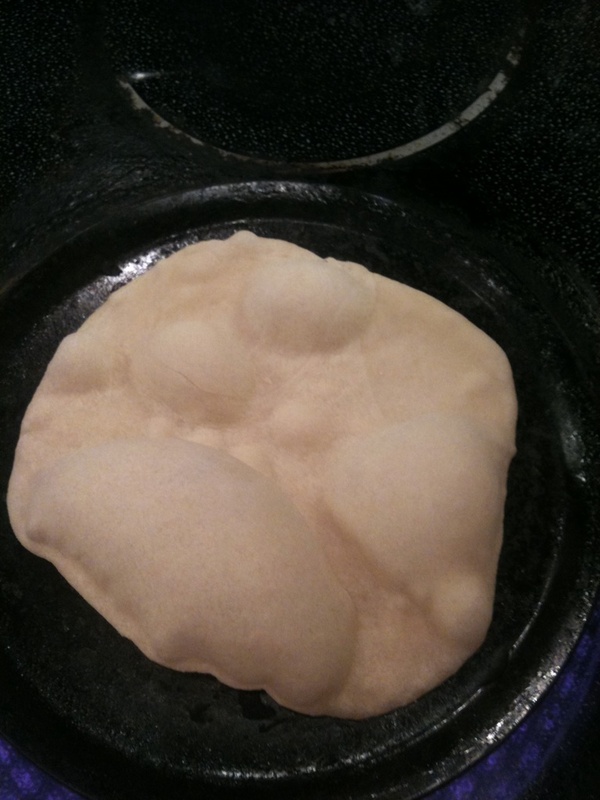 Place tortilla on griddle and cook unti it starts it “bubbles” and “bubbles” stop expanding (around 30 seconds). Flip over and cook 30 seconds more. 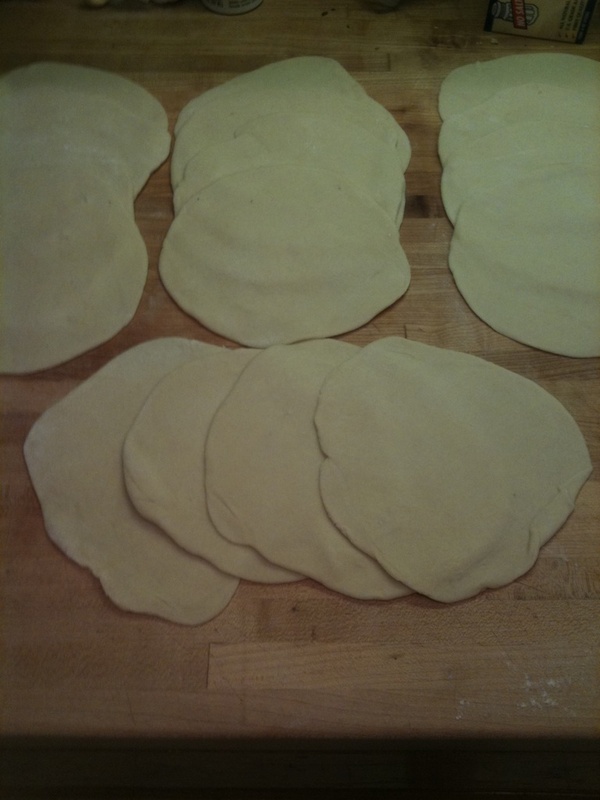 Place finished tortilla in a covered dish (to prevent drying and help retain tortilla flexibility) . Repeat until done. Once completely cool, tortillas can be stored in a Ziploc bag in the refrigerator. Tags: flour tortilla recipes, flour tortillas from scratch, food, homemade flour tortilla recipe, how to store homemade flour tortillas, preventing drying in homemade tortillas, recipes. Bookmark the permalink. I am so excited to try this recipe! I don’t know why it never occurred to me before reading this, to make my own flour tortillas. Thanks for the inspiration! Who doesn’t like a fresh tortilla? Enjoy! Let me know how they work out. Thanks for recipe testing! I looked for recipes recently but so many had lard that I wasn’t sure if I should try without it. Good luck and Happy Cinco de Mayo!